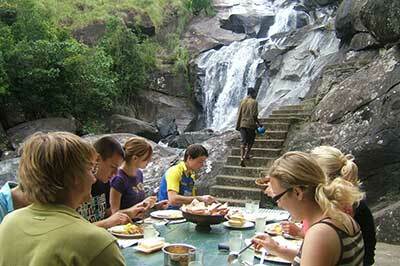 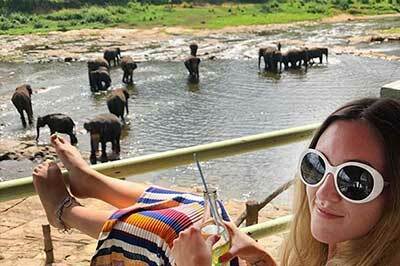 Sri Lanka 7 Days Trekking Tours is ideal for adventure and nature lovers. 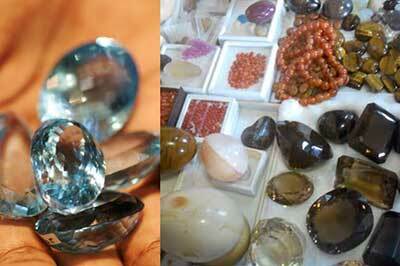 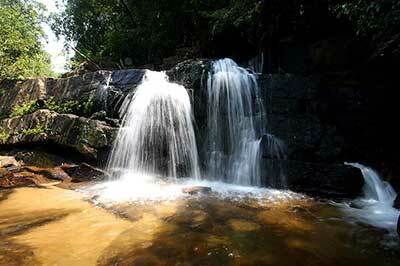 This will cover wide variety of trekking experience with some wonders of Sri Lanka. 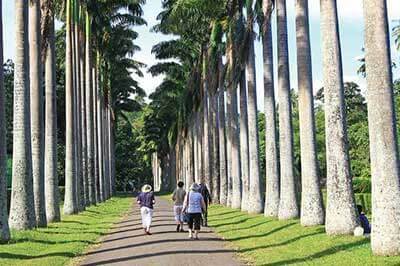 During the tour, you can trek through rural pathways, cultivation farm, historical temples and experience about life style of villages, chance to bird watching and taste some traditional foods and drinks. 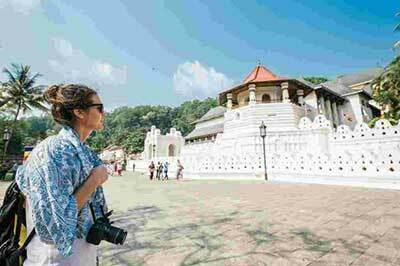 AM : Arrival at the Colombo Airport. 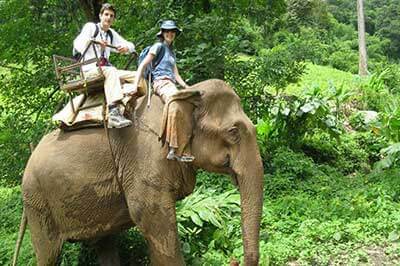 Assistance on arrival by a representative of Asanga Tours. 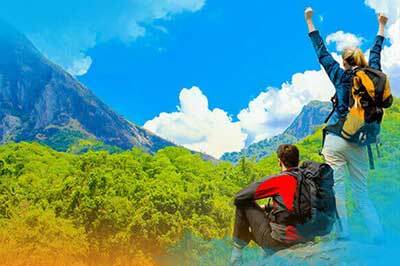 Transfer to Dambulla and check into Hotel. 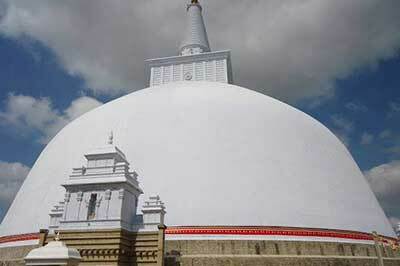 Leave for Anuradhapura. 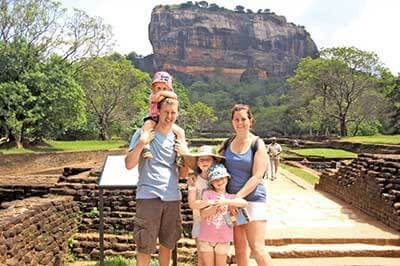 Arrive to Anuradhapura and visit ruins of the Old City. 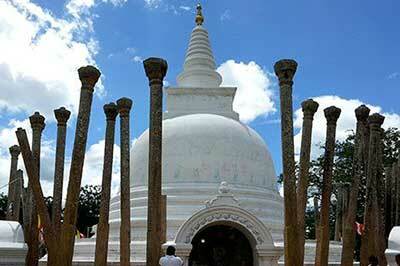 Anuradhapura was the first ancient capital of the country of kings for about 1400 years. 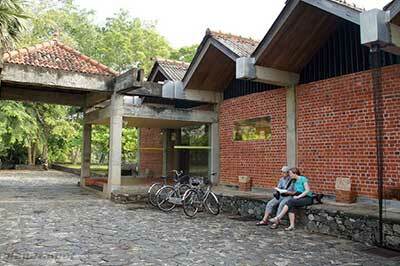 In pinnacle of its glory the city extended over a surface of 52 sq. 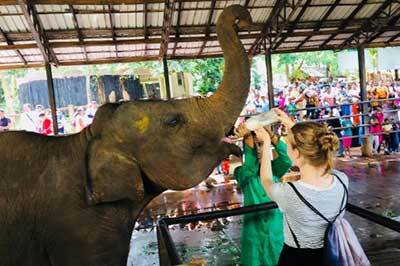 km and the population amounted to several tens of thousands. 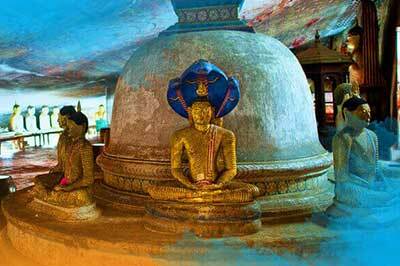 Its magnificent monuments, refined sculptures and paintings are testimony to a veritable and original Sri Lankan culture. 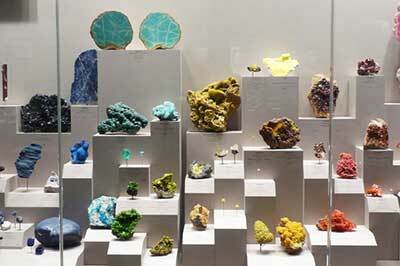 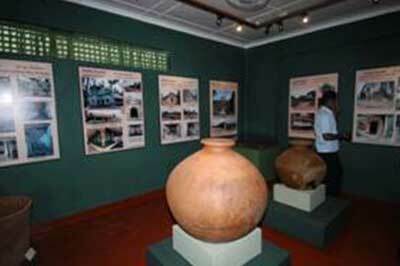 PM : Visit the Archaeological Museum and proceed to Mihintale. 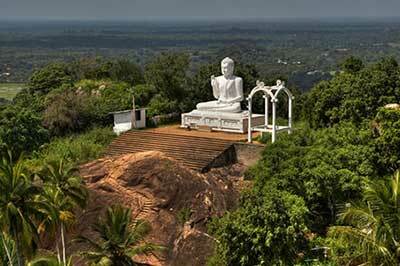 Mihintale regarded as the cradle of Buddhism in Sri Lanka. 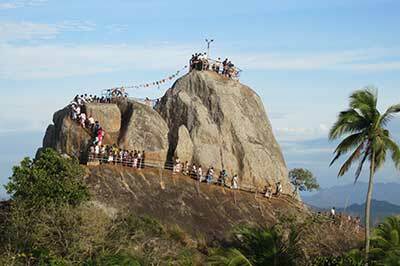 The rock is dotted with shrines and rock dwellings. 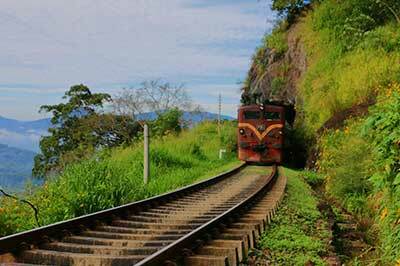 A grand stairway of 1840 steps, 5 m wide, leads to the summit with its splendid views of the surrounding countryside. 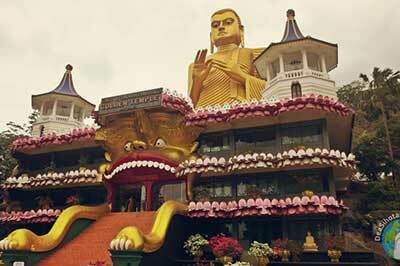 Arrive to Dambulla & check to Hotel for Overnight stay. 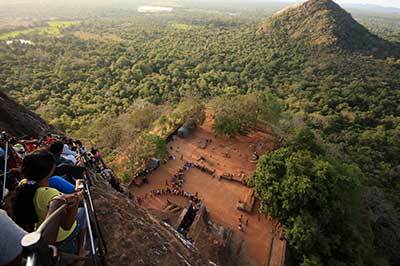 AM : After Breakfast, Leave for Sigiriya and visit the rock fortress. 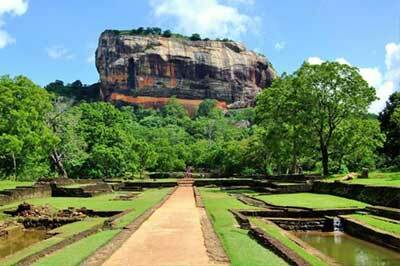 Sigiriya, a massive rock in the green scrub jungle, is perhaps the most memorable place for visitors to Sri Lanka. 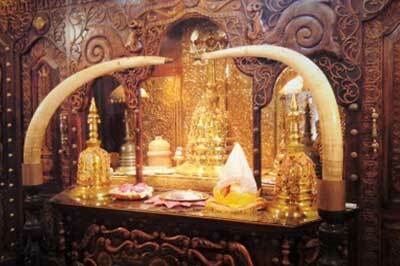 The site was known from ancient times as a hermitage for Buddhist monks. 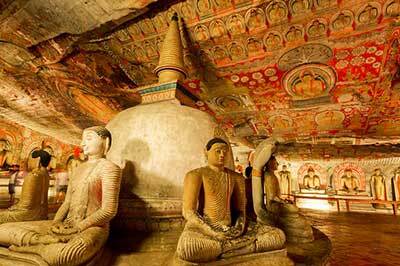 A well-planed monastic complex included caved temples, bathing pools, lovely ponds and Asia’s oldest surviving landscaped gardens. 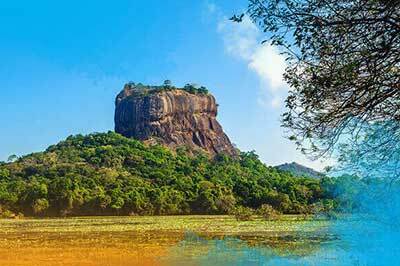 Today Sigiriya is famous for its frescoes painted in the pocket of the rock. 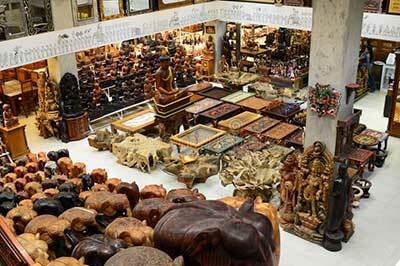 The “Lion stairway”, the “mirror wall” and the “water gardens” are Its other highlights. 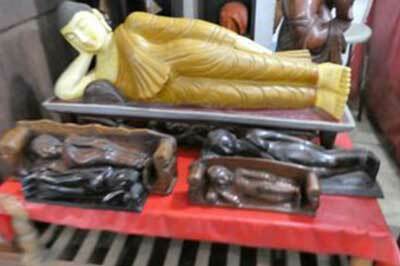 PM : Proceed to Polonnaruwa & visit a Wood Carving Center. 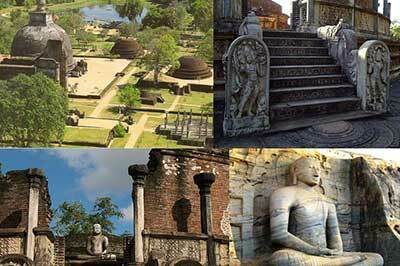 Visit the mediaeval capital Polonnaruwa. 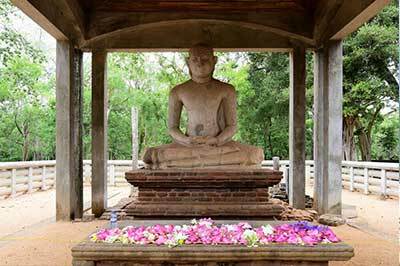 Polonnaruwa was the mediaeval capital of Sri Lanka, and today it is one of the most beautiful centers of our cultural heritage. 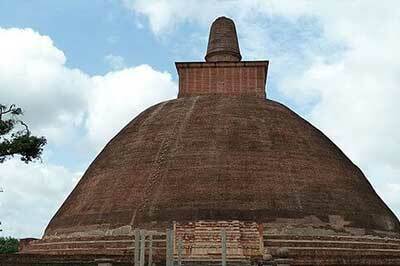 With its comparatively brief history and a dozen rules, it is far more completely preserves ruin than Anuradhapura. 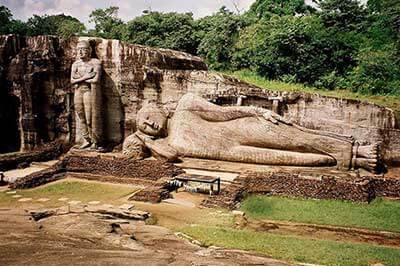 Visit the ancient ruins and Gal Vihara complex, where 3 gigantic Buddha’s statues are carved out of a single rock. 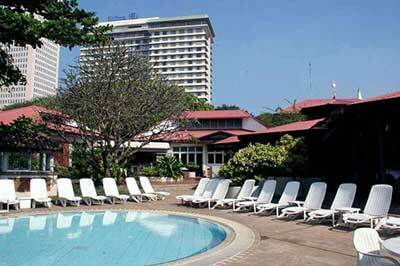 Return to hotel for Overnight stay. 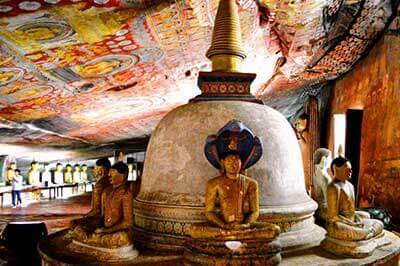 AM : After Breakfast, Proceed to Kandy visiting the Dambulla Rock Cave Temple. 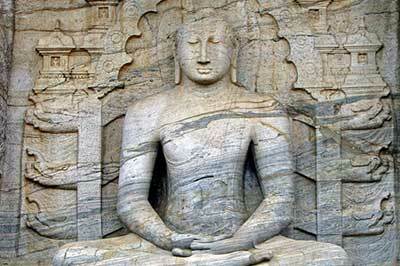 A 1st century BC Rock Caved Temple, which contains the most outstanding collection of Buddha’s images in Sri Lanka. 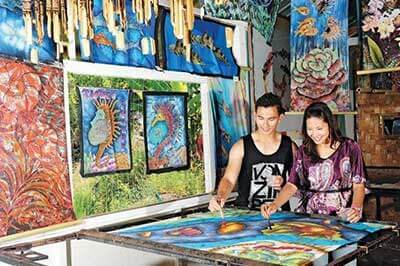 The walls are covered in paintings of images of Buddha during his different reincarnations as well as depicting some historic episodes. 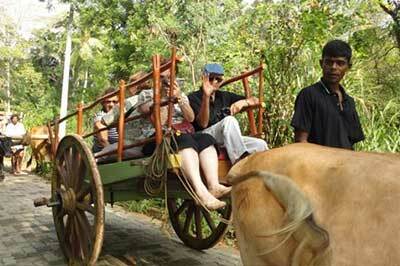 Proceed to Kandy visiting the Spice Garden in Matale. 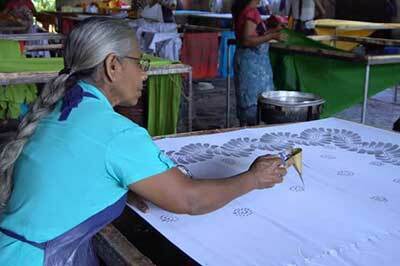 For centuries, spices have been one of Sri Lanka’s celebrated exports. 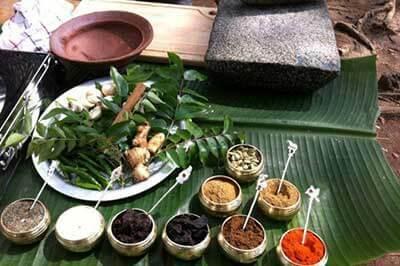 Spices mostly grown in home gardens (as a home industry) and used not only to flavor food but also in medicine and cosmetics. 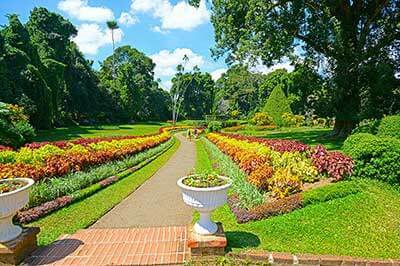 Visit a Spice Garden and sample such scents and flavors as cinnamon, ginger, pepper, vanilla, cardamom etc. 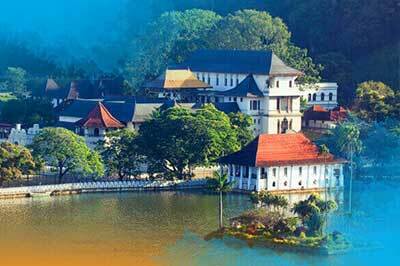 PM : Arrive in Kandy and check in to Hotel. 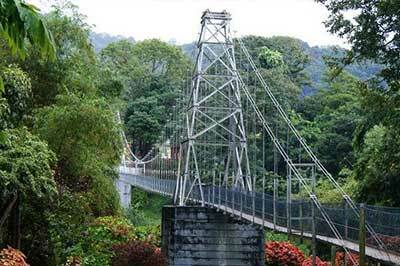 In the evening visit the City of Kandy. 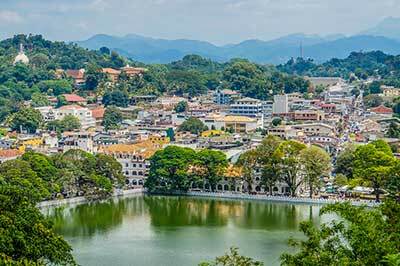 Sri Lanka’s second city is Kandy, a beautiful historical city in the citadel of the country. 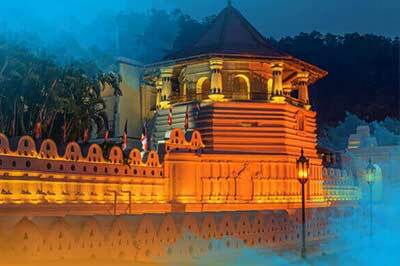 It is not only known for Its great kings who ruled the city for almost 225 years independently until the British took over in 1815, but it is also the place where the Sacred Tooth of Lord Buddha is laid in a magnificent temple. 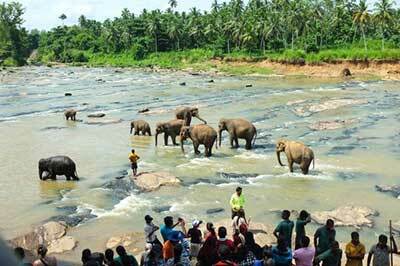 The incomparable Perahera celebration, a procession of more than 100 elephants, is held every August here. 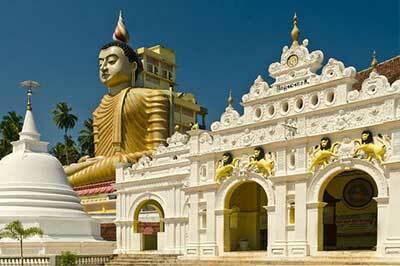 Visit part of the Old Palace and the Temple of the Tooth Relic and view the daily traditional rituals of the Temple. 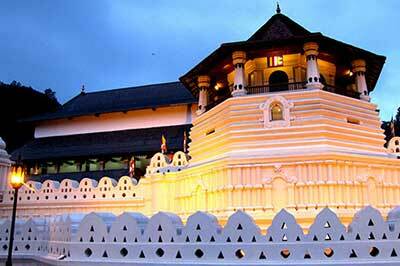 In the evening, view half an hour cultural performance of Kandyan Dancing. 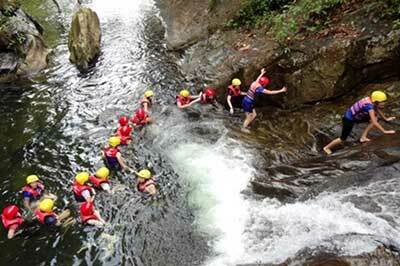 Return to Hotel for overnight stay. 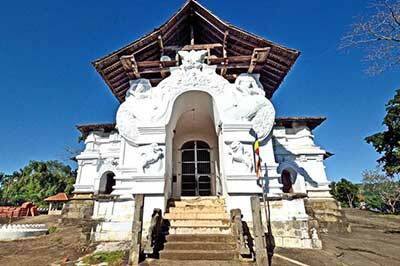 PM : Return to Kandy & Visit the 03 Temples namely, Lankathilaka Vihara an image house built solely of brick said to belong to the Gampola period. 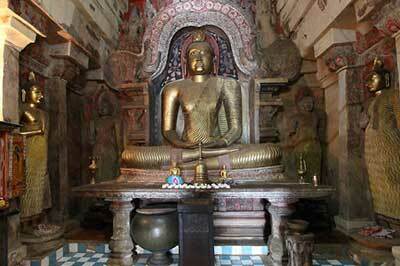 Situated on a hilltop, the temple houses a large image of the Buddha and is adorned with murals. 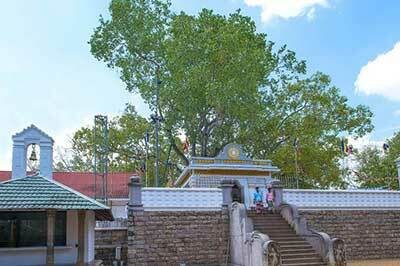 Gadaladeniya Temple, a largely stone temple built on a rock. 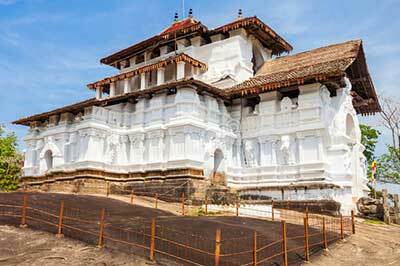 It is characterized by a stupa – like brick structure on an octagonal base with a moonstone at the entrance, lacquered door and numerous carvings and frescoes. 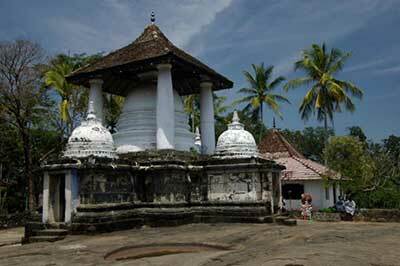 Embekke Devalaya, built by King Vikramabahu – III of Gampola in the14th century, the Devalaya is principally dedicated to Skanda. 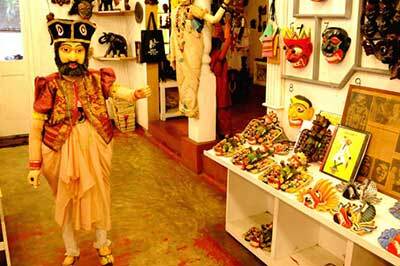 It is renowned for its numerous carvings of human figures, fabulous animals and floral motifs. 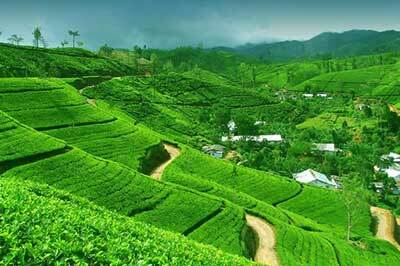 PM : Leave for Nuwara Eliya visiting Tea Estate & Tea Factory.V It is generally accepted that the discovery of tea occurred in ancient China. 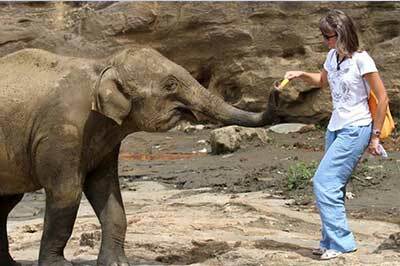 The Chinese say it was their Emperor Shen-Nung in 2737 BC who first tasted tea. 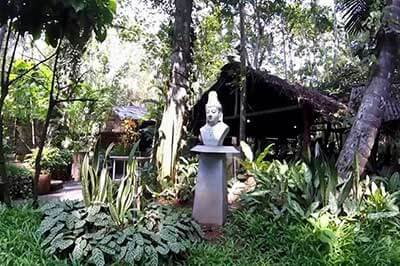 The story goes that while he was boiling his drinking water a few leaves from a wild tea bush accidentally fell into the water. 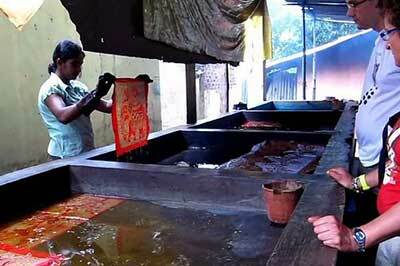 The Emperor liked the delicate flavor they imparted to the water and so the art of tea making was born. 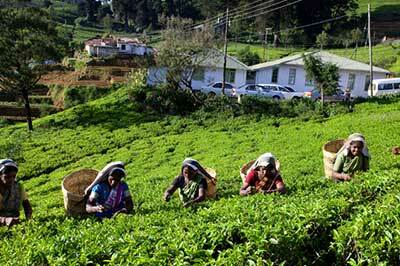 Ceylon tea acclaimed as the best tea in the world. 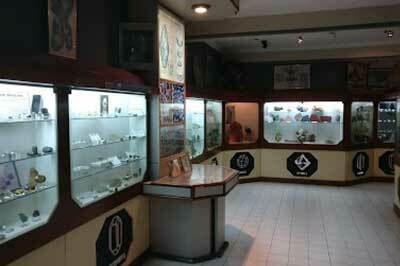 The influence of climatic conditions imparts to the product a variety of flavors and aromas, synonymous with quality. 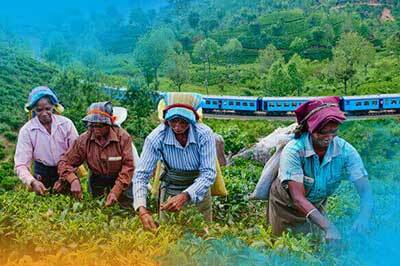 The cultivation and manufacture of tea is presently a highly skilled, scientific and technical process, with Sri Lanka producing some of the most fragrant teas in the world. 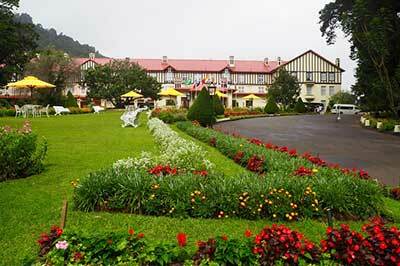 Arrive to N’ Eliya and check in to Hotel. 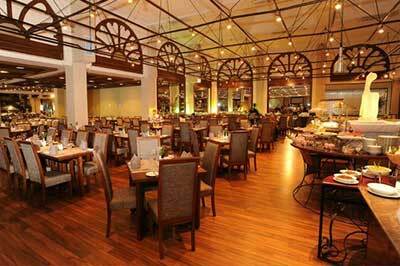 Overnight stay are at Hotel. 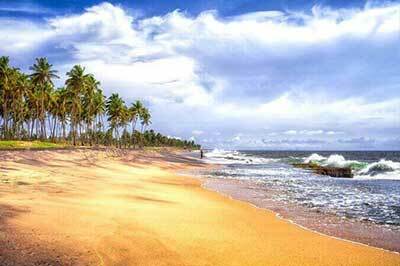 PM : Proceed to Colombo en-route visit the commercial capital of Sri Lanka.Colombo stretches along the western shore of Sri Lanka for nine miles. 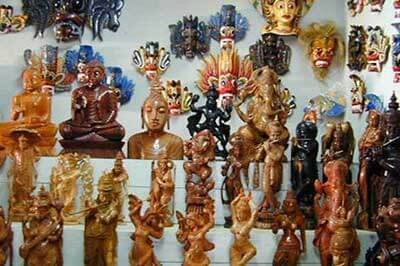 It is not just a simple city of one and half million people, but a metropolis, where different ethnic groups, religions and cultures intermingle. 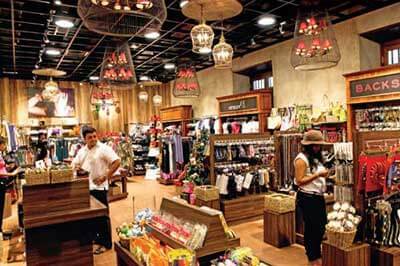 Here the contrast between high raise hotels and colonial mansions, supermarkets and street bazaars, dazzling cars and motor-rickshaws is found anywhere you look. 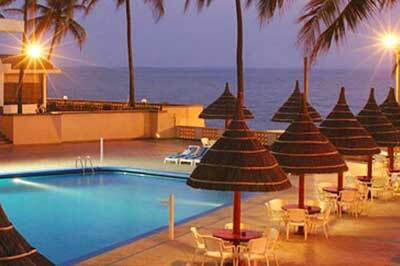 Check into Hotel for Overnight stay.